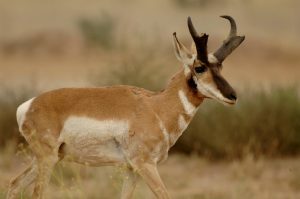 PHOENIX — Although the deadline to submit paper applications for the elk and pronghorn antelope hunt draw has passed, you can still apply online. The deadline to submit online applications is 11:59 p.m. (Arizona time), Tuesday, Feb. 13, 2018. The department encourages all applicants to sign up for a free AZGFD portal account. The portal allows customers to create a secure account where they can manage and view their draw applications, license history, bonus points, gain access to their “I Support Wildlife” membership and more, in the “My AZGFD Dashboard” section. A portal account also provides convenient access to the online license purchase and draw application systems. It’s easy to create an account. Just click on “My Account” in the upper right-hand corner of the AZGFD home page and then select the “Register” option, filling in the requested information. A portal account is mobile-friendly, so customers can view their information on their smartphones.